Book with Full-Length Online Video; learn notes, chords, songs, and playing techniques from the master of modern ukulele! 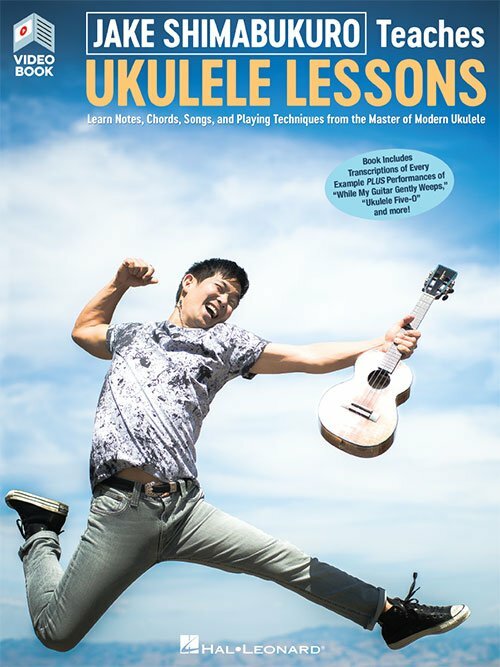 In this unique book with online video, Jake Shimabukuro will get you started on playing the ukulele. The book includes full transcriptions of every example, the video features Jake teaching you everything you need to know plus video of Jake playing all the examples. In addition, the video includes performances of Jake playing some of his most popular arrangements such as “While My Guitar Gently Weeps” and “Ukulele Five-Oh,” among others. The video is accessed online using the unique code inside each book and can be streamed or downloaded.